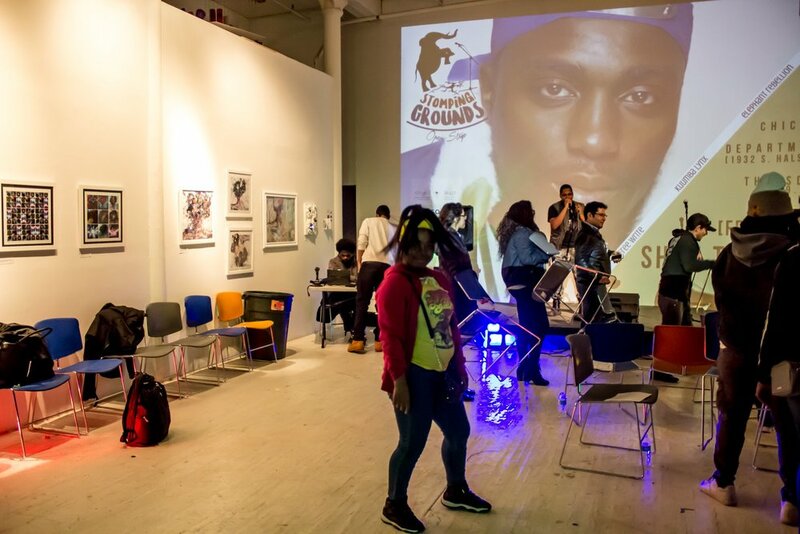 Stomping Grounds is a free monthly open stage event for young creatives to develop performance, curation, and exhibition skills while connecting to the Chicago creative community. 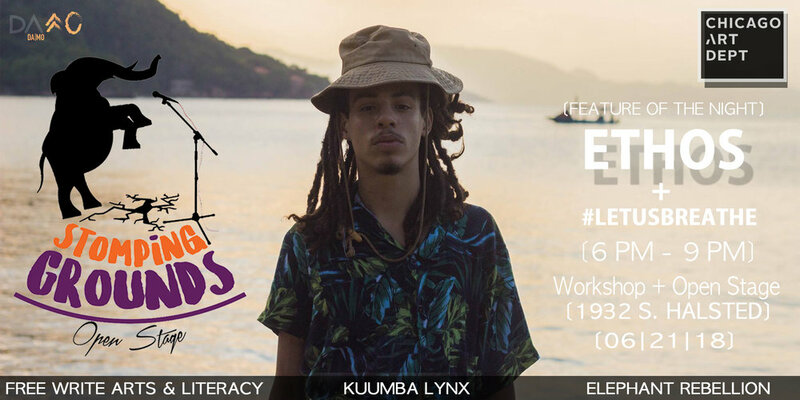 The event is hosted by Free Write Arts & Literacy in collaboration with Kuumba Lynx and Elephant Rebellion. Sign up to perform is on a first come first serve basis - so come on time! Bella Bahhs: (Black Ancestors Here Healing Society) is a millennial anti-carceral force and fearless commentator on the politics of power, race and gender. The Architect of Community Construction at The Decarceration Collective, a non-profit law firm and consultancy, Bella co-leads a premiere collective of lawyers, community organizers and criminal justice policy consultants working together to challenge and dismantle the carceral state. As a 2017 Soros Justice Fellow, Bella designed the blueprint and built the foundation for the Chicago-based Sister Survivor Network, a dynamic fellowship empowering Black women and girls who have been harmed by America's prison policies to become civic leaders. Ethos: a poet, organizer, prison abolitionist, and peace circle keeper dedicated to sustainability and radical justice for all peoples of the earth. Ethos focus' on prison abolition work through a restorative/re-distributive justice lens, and sustainability as a way to build a society that supports both the earth and the people in it. Ethos uses his poetry to speak the ethos of the people in hope it begins to shift our world towards a more peaceful place. The #LetUsBreathe Collective is an alliance of artists and activists organizing through a creative lens to imagine a world without prisons and police. 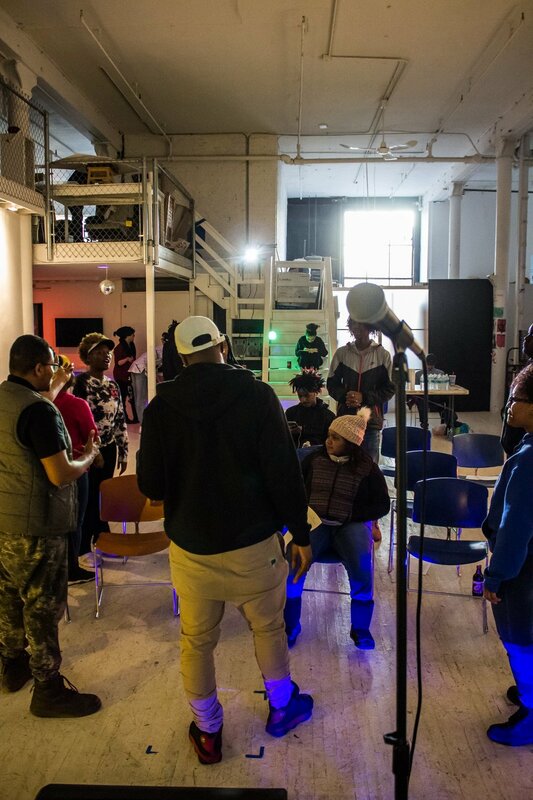 The Collective operates the Breathing Room space, a Black-led liberation headquarters for arts, organizing, and healing on Chicago's South Side. E’mon Lauren is from the South and West Side of Chicago. She is a Scorpio enthusiast and a firm believer in Dorthy Dandridge reincarnation. E’mon uses poetry and playwriting to explore a philosophy of hood womanism. 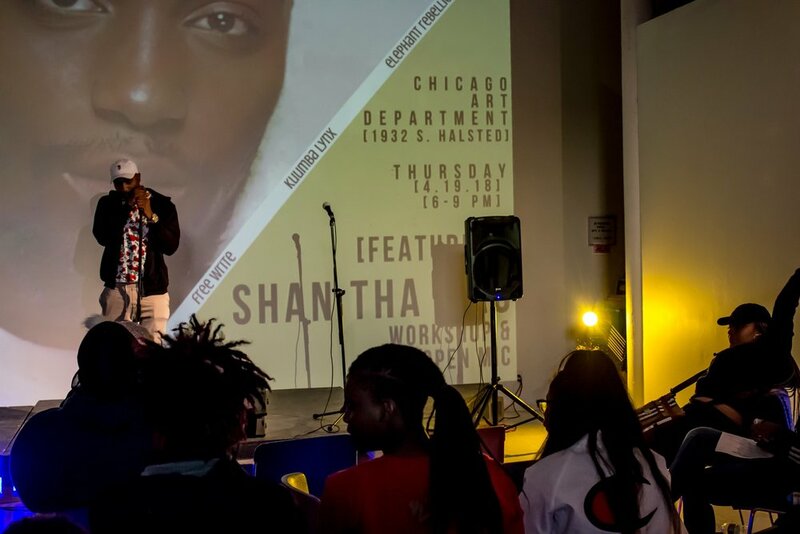 She was named Chicago’s first Youth Poet Laureate. 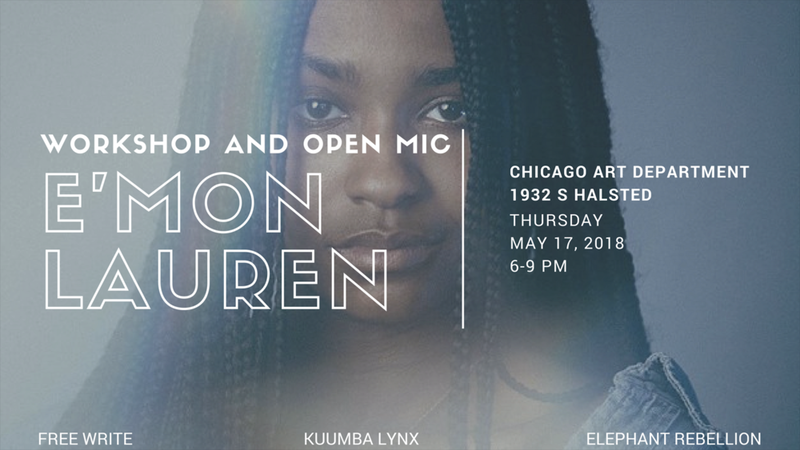 A former Kuumba Lynx Performance Ensemble slam team member and Louder Than a Bomb champion, E’mon has performed in many venues including The Brave New Voices International Youth Poetry Festival and The Chicago Hip Hop Theatre Fest. She was a 2016 finalist for The Gwendolyn Brooks Open Mic Award. 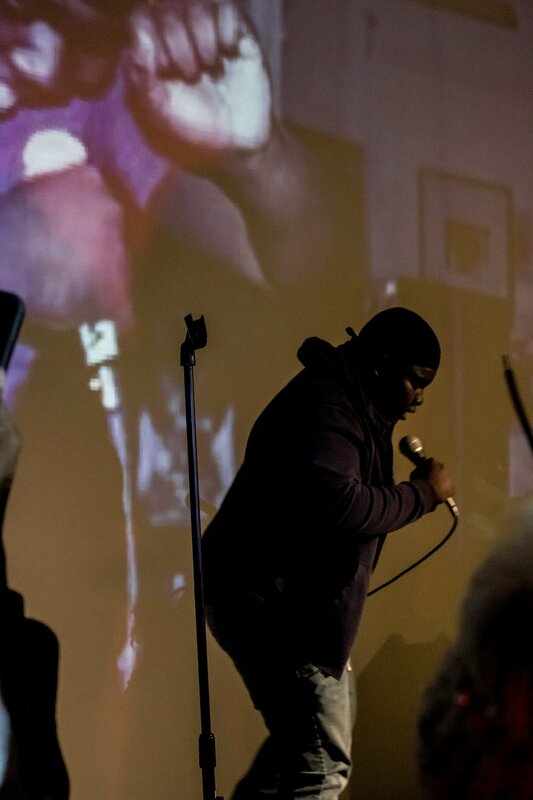 E’mon has been published in The BreakBeat Poets: New American Poetry in the Age of Hip-Hop, The Down Dirty Word, and elsewhere. She has been featured in Chicago Magazine, The Chicago Tribune, and on WGN Radio. 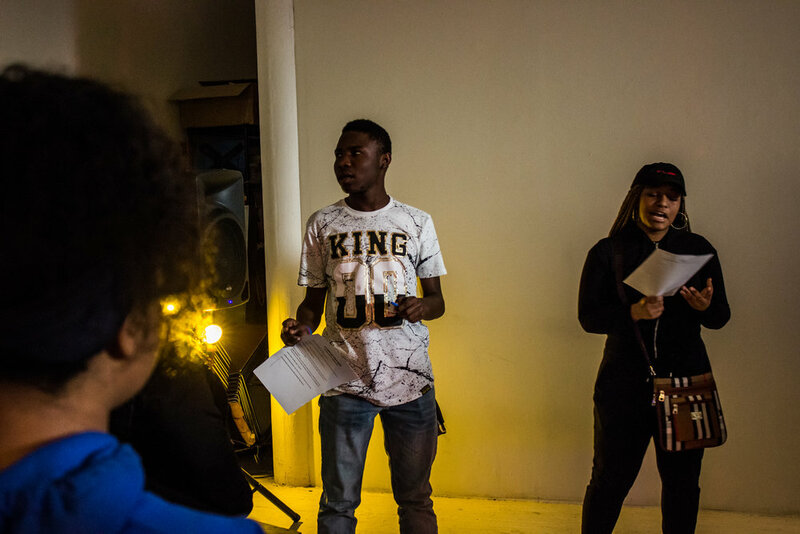 She is a member of Young Chicago Authors Teaching Artist Corps. Her first chapbook COMMANDO, was published by Haymarket Books, Fall of 2017. 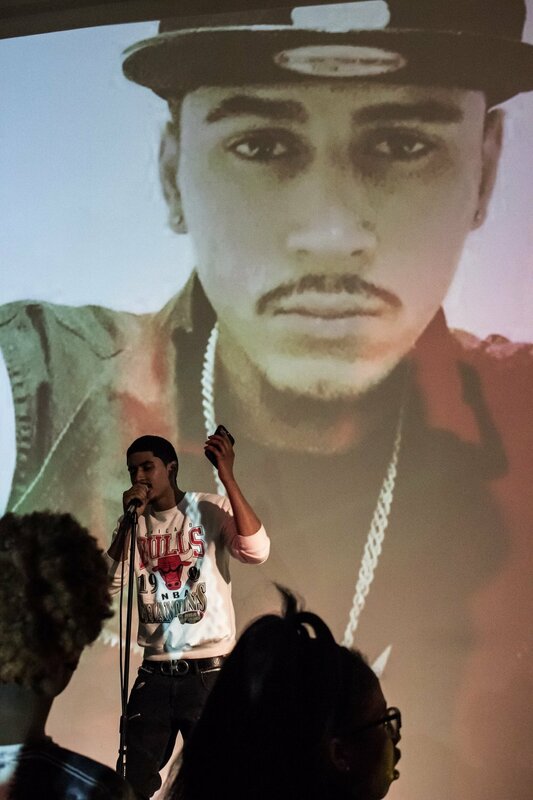 $han Tha Mac is a hot, young, aspiring, unsigned artist hailing from the North Side of Chicago. 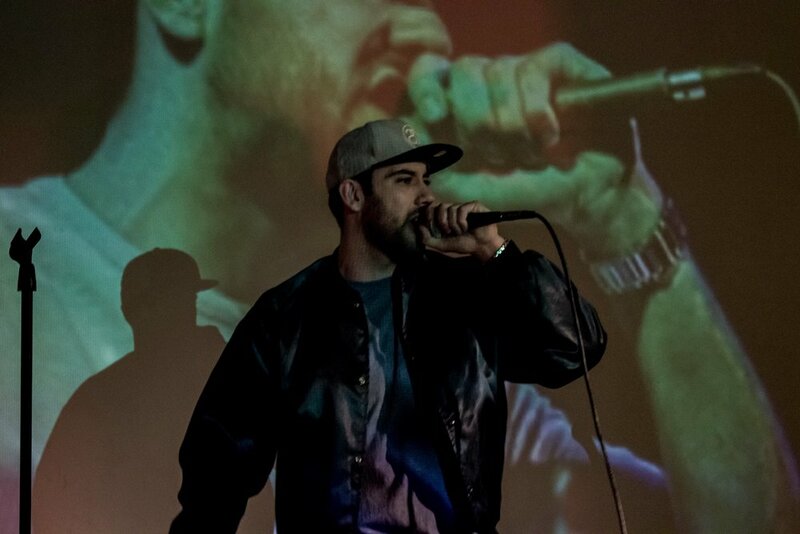 As a singer/songwriter, rap artist, and clothing brand owner he's aspires to be recognized on many platforms. 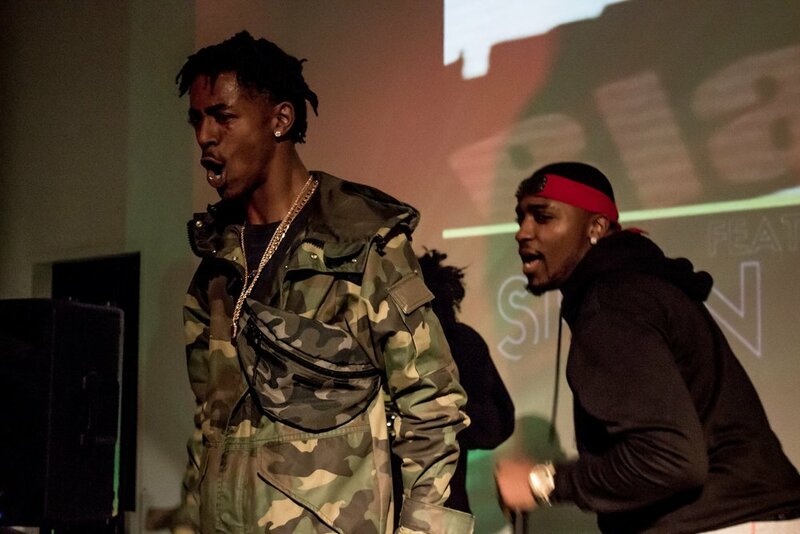 $han has a unique style and powerful message, and hopes to eventually be signed to a major label. 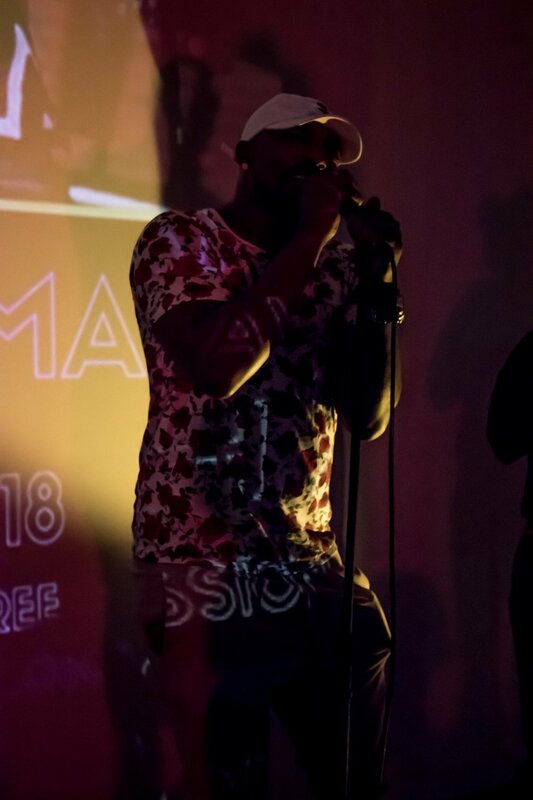 $han's main inspirations comes from his own self determination but his musical influences are Lil Herb, Eminem, Drake, Usher, and Chris Brown. 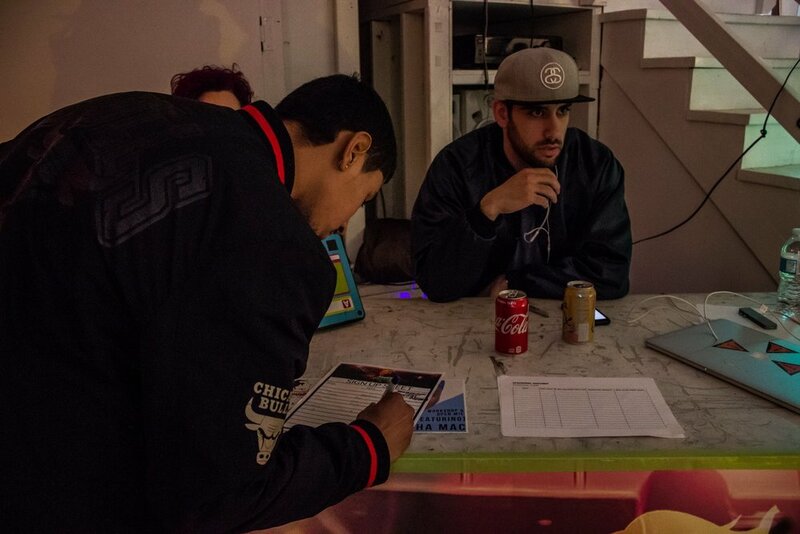 $han The Mac is apart of L.O.D Music Group, an unsigned entourage of hungry new artist producers and videographers. $han The Mac just dropped his second music project Euphoria please check it out on all musical platforms. 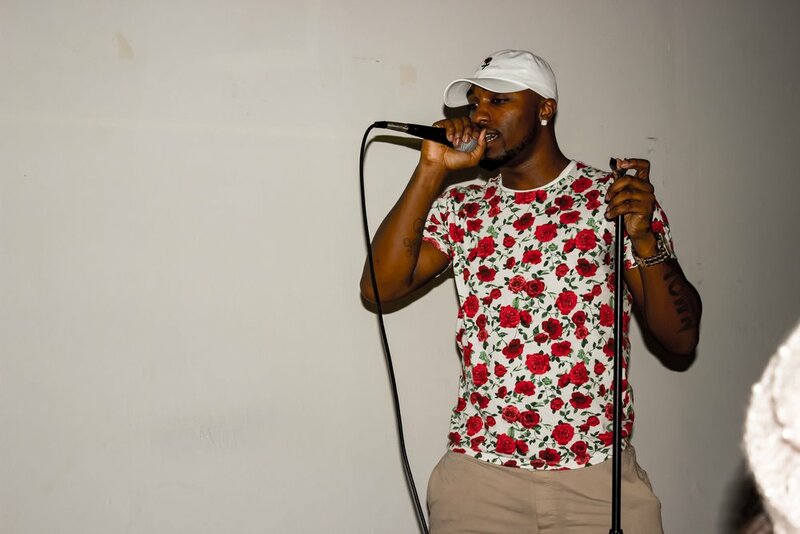 feature in March - Calid B.
Afrobang is inspired by his upbringing which is firmly rooted in what it means to be a black man in America today, but also reaches back to his father’s Cote D’Ivoirian origins. The energy behind Afrobang fuses together contemporary hip hop production elements like trap drums, synths, and 808s with the tribal percussions and chants from west Africa. However, Afrobang is more than music - it is a necessary culture and a community that Calid plans on cultivating. KoStar is a uniquely soulful experience, caused by two dynamic and creative young women with the abilities to silence a room or cause an uprising!